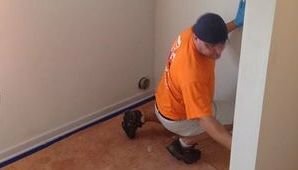 From pipe bursts to rain leaks, the water damage Derby, CT team at 911 Restoration Connecticut has seen it all and fixed it all. Left unchecked, water damage can get worse exponentially, causing mold and imperfections in the structure of your home. Steeped in history, this New Haven County community boasts a population of just 12,903 over five square miles. As the state’s smallest municipality, Derby is a quaint town with beautiful tree-lined streets and an inherent pride in the community. We have years of experience in Derby and work hard to help you maintain your property value when damaging water problems occur. Thanks to our water damage Derby specialists and their top rated performance in work quality and customer service, 911 Restoration is the best water damage company in the state of Connecticut. We value professionalism and we always put the customer first meaning we use the latest drying technology to restore homes and then offer the best client care. We pride ourselves on offering same day service no matter how complex your flood problem may be and we even go the extra mile by checking those little things like your sewage backflow valve. Don’t leave the well-being of your home in the hands of fate; call our water damage Derby team with 911 Restoration Connecticut and let us restore your home back to an even better condition to best serve your family today! Our water damage Derby, CT crew knows that preventing water damage completely, especially if you live in an area that’s prone to flooding, may be impossible. But don’t despair! There are many preventative measure that you can take that will undoubtedly reduce your need for disaster restoration. Make sure that you have a sump pump in good working order in your basement. A sump pump will begin to pump out extra water as soon as the float activator arm senses moisture and is the best asset to have on hand if your basement floods. Placing sandbags strategically around your property in areas that are sloped downwards toward the foundation can go far in keeping moisture at bay in strong storms. And don’t let your pipes freeze and burst in winter. You can guard against this by leaving a few faucets dripping very slowly so that the water is never still. Don’t completely shut off the heat in the house, even when you’re away. Your pipes need to be in a semi-warm environment so they don’t freeze up. A little prevention can go a long way when it comes to water damage. 911 Restoration continually stands out as the best water damage Derby, CT company by a country mile. We put the customer first on every job and are dedicated to providing the best service possible. We understand that you don’t want to be kept waiting, so we respond to all calls within 45 minutes and provide same day service. Our rates are low, and our staff will work directly with your insurance company to file your claim accurately to get you the coverage you deserve. Our licensed, bonded and insured water damage Derby, CT technicians will begin with a free inspection and outline a fast plan for a total recovery. If your office location or home is already dealing with the invasion of water from a ceiling leak, water heater failure, or any kind of flooding, then contact our water damage Derby team with 911 Restoration Connecticut today!